So we already know that we teach learners and not subjects. It is a tricky question when someone asks a teacher “What do you teach?” The answer is very simply “learners.” It is easy to think “social studies” or “math”… but it is always “learners” first. So something good to teach? You bet – our kids! Now what to teach and how to teach is a different question… In a world of canned curriculum and a sea of sailing ships of educational trends, it can be tough to decide if it is a trick or treat when it comes to knowing what is best for our kids (aka – learners). The sessions that I attended focused on best practices based on research to use in our teaching repertoire. One of the top sessions in my humble opinion was on the topic of differentiation for linguistically diverse students. Amy Faust Fraser, WIDA expert, shared with the attendees a variety of ways to differentiate for English learners considering the literacy domains of listening, speaking, reading, and writing. What was really great about this hands-on session was that differentiation helps to support English learners as well as all learners. One concrete example was how graphic organizers support the WIDA ELD (English Language Development) standards in our teaching. For example, the Venn Diagram allows learners to compare and contrast two entities. Ms. Fraser provided examples of incorporating the diagram into social and instructional language, the language of language arts, the language of mathematics, the language of science, and the language of social studies. It is more than just implementing an organizer. It is about appropriately matching it to the content, the language, and the learner. Another great take-away from this session was creating a class portrait and student portraits using the WIDA Can Do Descriptors based on ACCESS scores – and knowing who our students are. EL teachers can collaborate with classroom teachers to provide a list of supporting strategies by the literacy domains (listening, speaking, reading, and writing). These portraits should include assets, contributions, and potential for learners. This provides insight for the teacher as well as the learner as it is important for each student to recognize strengths and challenges as well as help set personal goals. Speaking of challenges and goals… Dr. Cari Maguire presented a session that discussed linguistic scaffolds for writing language objectives, highlighting expressive language. Basically, language objectives address how students are learning concepts considering the literacy domains: reading, writing, speaking, and listening while scaffolding provides learners with stepping stones to climb the hill of learning. The goal here is that teachers – whether EL teachers or classroom teachers – should be aware of more than the content of their teaching. We need to know how students are using their literacy skills to learn. Language objectives look something like this… “Learners will (active verb phrase) using (language target).” The more concisely we can state what learners are expected to do and how, the more learners will flourish in our classrooms. That is simply the trick to teaching – learnings flourishing in our classrooms – and it is a special treat when it happens for them all. Reading is one of the three critical pieces of learning; reading, writing, and discussion, as proposed by Mike Schmoker, are “…the foundation for a well-equipped mind: the key to equity, access, and economic opportunity” (2006, p.72). Before Reading Strategies: used to motivate, build and activate prior knowledge, introduce vocab, and develop metacognitive awareness (Vacca, Vacca, and Mraz, 2011). 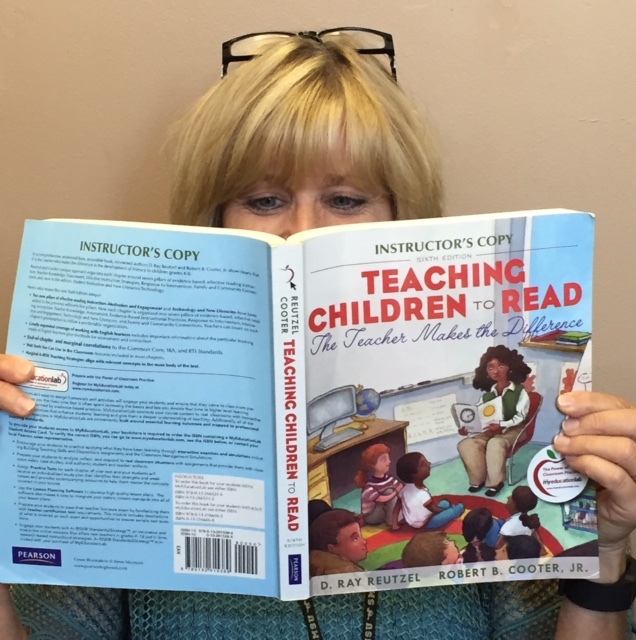 During Reading Strategies: used to connect reader to text with structured guidance so students distinguish importance between ideas, understand relationships, and activity respond to meaning (Vacca, Vacca, and Mraz, 2011). After Reading Strategies: used to clarify and extend emerging concepts (Vacca, Vacca, and Mraz, 2011). 10—Spread the wealth to others… share our blog and read again! Harry and Rosemary Wong’s new book, The Classroom Management Book, lays out step-by-step directions on how to teach, rehearse, and reinforce procedures in the classroom. Our SMSU teacher candidates just finished reading about these procedures and then taught their peers about many of the procedures using the jigsaw method. One procedure discussed was the Home School Connection chapter and how to stay in contact with parents. As parents and as a teachers, we concur that it is vital to keep the parent communication lines open. 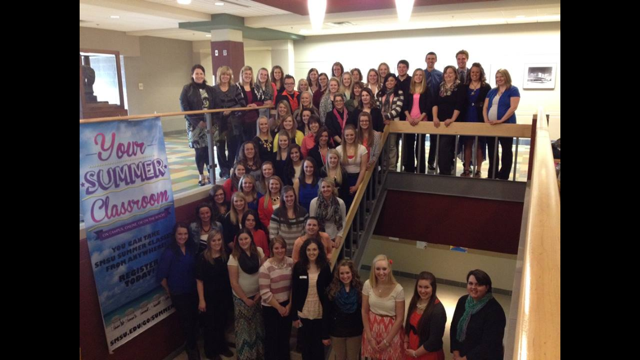 Involving stakeholders is critical for the success of the student…for the success of the school. One way to stay in contact with parents is through a weekly newsletter. This newsletter can take on many forms…a note sent home in the backpack, a blog post, a tweet, or a Facebook update just to name a few. The form is not so critical; the important piece is to stay connected. Thanks to second grade teacher @Webers2ndGrade for sharing a brand new way to send a newsletter to parents using an iPad app called Shadow Puppet Edu. Mrs. Weber’s second graders used this medium to share their weekly activities with their parents. First, they chose pictures of what they had done in their classroom that week, and then they used the voice over to narrate each picture. Once the process was complete, Mrs. Weber’s second graders tweeted it out for the parents to read. Check it out here: @Webers2ndGrade Newsletter. Teachers can use this app to stay connected to their parents. These newsletters could be tweeted, put on the class webpage, or the class Facebook page. Principals could use this app to stay connected to their teachers. Shadow Puppet Edu could be used to make announcements in the morning, or to showcase teacher accomplishment. The possibilities are endless. What are ways that you could use this iPad app? How do you stay connected with your stakeholders – parents or teachers or students? We must confess. WE have been that friend sometimes. We are trying so hard to become better conversationalists by ignoring our phones when visiting with others. A radio station was discussing the topic of listening on the air the other day, and a suggestion given to us on the other side of the radio was to use the acronym “W.A.I.T.” when having a conversation with another person. W.A.I.T. stands for Why Am I Talking? It’s a good reminder to us to remember that actively listening is way more important than actively talking. Avoid distractions by turning off cell phones, iPads, radios, or televisions. Sit close to the speaker or shut the door if needed. There are too many “squirrels” or “shiny” things to distract you in the world without adding your own devices to the story. Do not interrupt the speaker unless you need to paraphrase, ask a question or clarify what was said. Any type of interruption can be extremely frustrating to the speaker and can send the negative message that what the speaker is saying is not important to you. We have all wanted to add our two-cents worth when others are talking, however, we must restrain from jumping in with our thoughts and comments. Silence is golden! Empathy is defined by the American Heritage Dictionary as “understanding of another’s situations, feelings, and motives.” Try to place yourself in the speaker’s shoes and ask yourself “what would I do in this situation?” Be aware of your own emotions and opinions and know that you may disagree with what is being said. Avoid being critical. Acknowledge what the speaker has to say and keep an open mind and an open heart! Honor any time restraints that may exist. You may have limited time to listen and the person needing you to listen may also have limited time to speak. If you know there will be issues with time simply say, “I have a meeting in 30 minutes. What you have to say is important to me, so if we run out of time, I’d like to continue this conversation on such and such a date at such and such time.” Or, ask the speaker if there are any time restrictions he/she has that you should be aware of. This sends the positive message that you truly care. The term listen is a verb and verbs are doing words—they demand action. Be quick to listen and slow to speak! Let’s become role models for all people we know by putting into practice the seven pillars of active listening. Too often we might hear in the classroom, “please listen” or “you need to listen more carefully” without the proper modeling and explicit instruction that is needed. Thanks for listening! 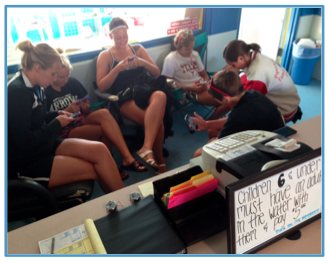 Stopped by the Family Aquatic Center to say hello, and the picture above is what we walked in on. So without thinking, we blurted out “Let’s chat naked.” Yes, every single one of those kids stopped doing whatever it was they were doing with their cell phones and looked up at us. A miracle…they looked up from their phones. Now we had their attention. “Let’s chat…face-to-face. Let’s chat naked,” we suggested. One of the girls smiled at us and said she had heard the saying of ‘going to a meeting naked’ where no lap tops, iPads, or smartphones were allowed. Hmm…now that’s an interesting concept we think we should try. We chatted, briefly, and then they all went back to their phones. Made us think of a YouTube video we just watched on someone’s Facebook page the other day called “Look Up From Your Phone.” It’s worth the five minutes it takes to watch it. In Abraham Lincoln’s closing remarks to Congress in December, 1892, he wisely recommended that we all rise to the occasion even if “the occasion is piled high with difficulty.” That can certainly apply to the use of cell phones in a classroom, can’t it? Even if your students are using cell phones when you think they shouldn’t be, maybe it’s time we teachers rise to the occasion and figure out HOW to use them in class rather than HOW to abandon their use. Ask a question of your students and have all students ‘Tweet’ their answer to a special Twitter account set up just for your class. For example, we could ask our students to name five assessment tools used in schools or ask the students who is the author of a certain children’s book and they tweet their answer to us. The tweets then lead to outstanding ‘naked’ conversation. Place QR codes throughout your presentation. Students pull out their phones to “follow” your presentation and lesson. 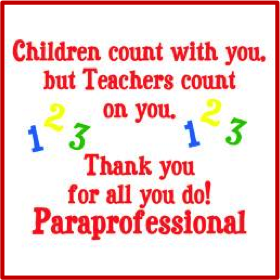 It helps with all of the “extras” that may not be shared during the class because of time restraints. It can also be a place for students to go for their assignments. 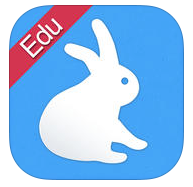 Students can use their phones to record a lesson or presentation to share with the class. It can also be used to self-assess a presentation. Students can then upload their video to Youtube and let the learning go viral. Take a fieldtrip with the phone! If you can’t go somewhere, bring the somewhere to you. Students can Facetime with primary sources—aka people—instead of just reading it on the Internet (or find it in a book…the thing with pages on their desk). Just like the comment “let’s chat naked” caused all six of those kids to look up from their cell phone, using the cell phone as a teaching tool can enhance face-to-face dialogue. Meaningful discussions will augment our classroom teaching. Using the cell phone in our teaching can aid with the discussion process, which in turn will increase student learning. And that, fellow educators, is what teaching is all about. What are some ways that you are using a mobile device in your classrooms? Have you ever been to Sturgis? I have. Just passed through so I can say I’ve been there. That brief time was enough for me, though. Maybe you are one who stays for the whole week. If you are that person, then you know you are ‘revved’ up to get to Sturgis and you go ‘full throttle ahead’ to get there. Doesn’t that paint a picture of what the beginning of the school year is like? Whether you are a teacher or a principal, aren’t you ‘revved up’ to get started and you go “full throttle ahead’ to get ready for the school year? I know I do. Every year is that way for me. A new beginning is always exciting and I actually enjoy the preparation. Personal Space – Just like your motorcycle is your personal space, how will you arrange and organize your personal space at school? How will you polish and shine what is yours to make it stand out above all others? Where would you like your desk? Where would you like your materials? Others’ materials? What do you want on your walls? How about your space on the computer? Email all ready to go? How about your class/school webpage? Are you a blogger? Would you like to start? Go to wordpress.com to learn more. Surroundings Awareness – Becoming familiar with the best route to take when traveling to Sturgis was a must. Same goes for school. Get familiar with your building. Where is the copy machine? Do you have a code for it? Where are materials located such as construction paper? Become best friends with the school office administrator, the custodians, the cooks. Does the maintenance crew want your chairs up when they sweep your classroom? How do you ask for help when a repair is needed? Will the cooks allow you to use any of the kitchen equipment for a special project? Do they expect you to help in the lunch room? Leadership Plan – Did you travel to Sturgis with a group? Were you in charge of the trip? Transfer that thought over to school. How will you manage your time? How will you prioritize? Do you know what to do in case of a crisis such as a tornado drill or a sudden death? Is your plan ready to go? Continue to add to your plan as the year progresses. There’s a good chance you will be initiated by fire. 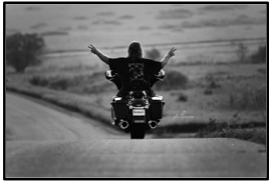 First Day Jitters – Once you arrived in Sturgis, did you know what you planned to do that first day? What will you do on the first day at school? Will you be nervous? Probably a little. Get a good nights’ sleep if possible. Drink a glass of tart cherry juice before bedtime. Tart cherry juice has melatonin in it to help aid sleep. Eat a good breakfast the first day. A Green Monster Smoothie is delicious and nutritious. See the recipe below. Leave home with a positive attitude. Build relationships. Greet people at the door. Wear a smile. Actively listen to others. Use icebreakers. Check out the link for many many icebreaker ideas. Read First Day Jitters by Julie Danneberg. Green Monster Smoothie Recipe: 1 cup spinach, 1 cup frozen kale, 1 cup unsweetened Coconut Milk, 1 scoop of Strawberry Slim Fast Powder, ½ frozen banana sliced, 1 kiwi fruit peeled and diced, a handful of frozen cranberries, 1 tbsp flaxseed meal. Put all ingredients into a blender and mix until smooth. Pour over ice and sip through a straw. Enjoy. 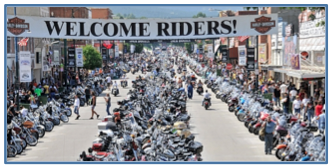 Make Connections – From the picture above, it’s easy to see that there were hundreds of thousands of bikes and folks at Sturgis. Connections are easy to make when you surround yourself with that many people. Do the same at school. Connect with the students, the staff, the parents, and anyone else you know who are associated with your school. How can you connect? Get to know people on a personal basis. Remember “people don’t care how much you know until they know how much you care.” Appreciate others, respect others, show others they matter. Connect with others via Twitter. Join a PLN. Actively participate in live Twitter chats. A few we recommend are #tlap and #nbtchat. Once connections are made, all else will fall into place. Have a fun year and enjoy the ride. Let that bike roar.